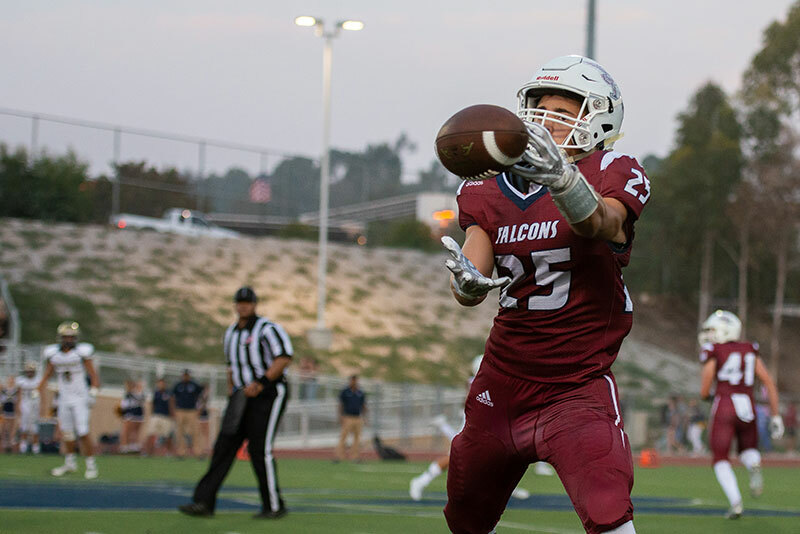 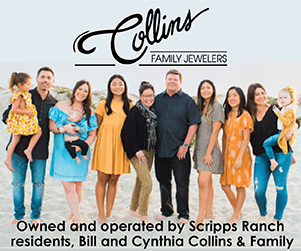 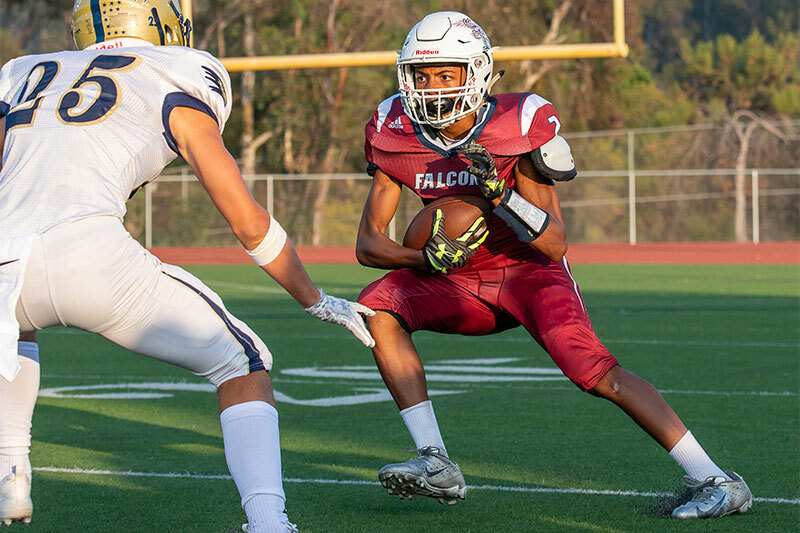 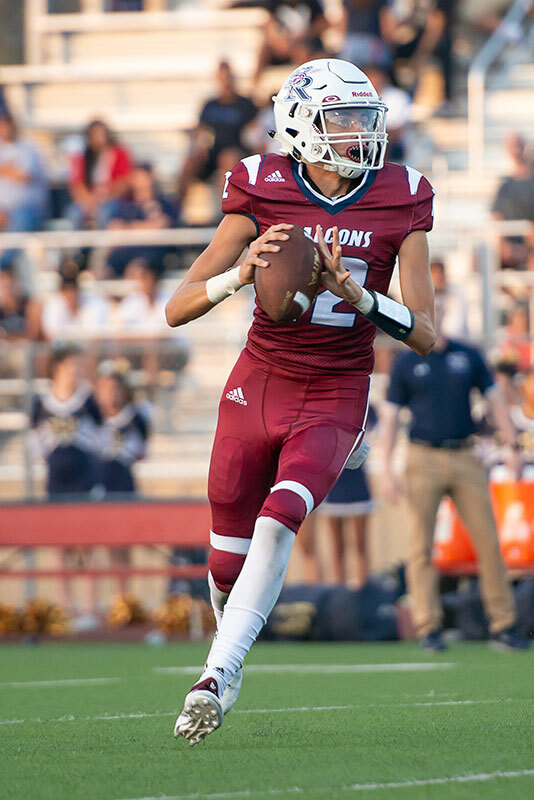 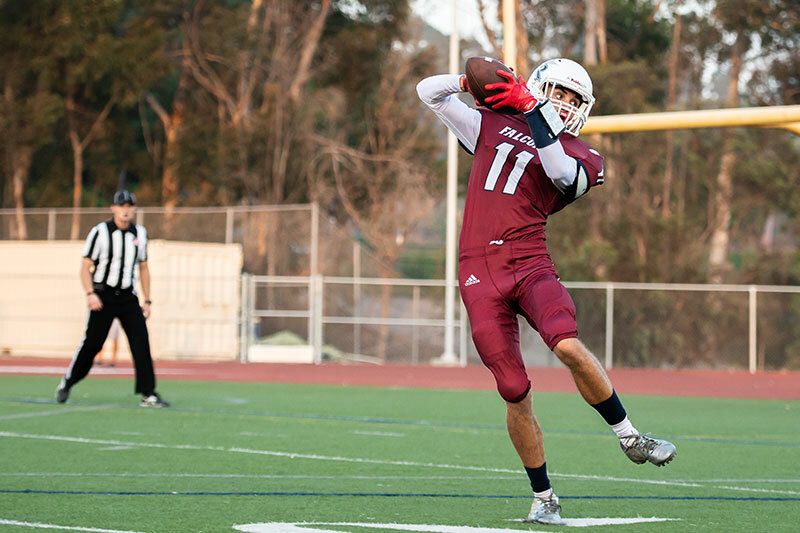 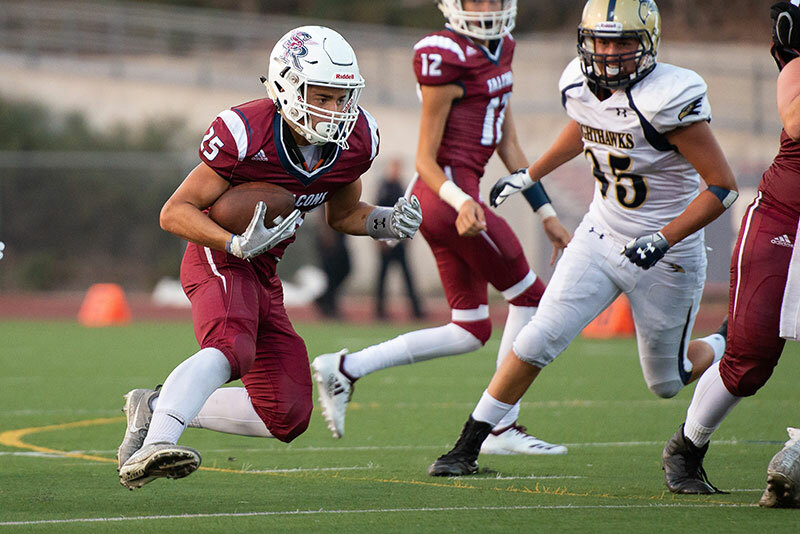 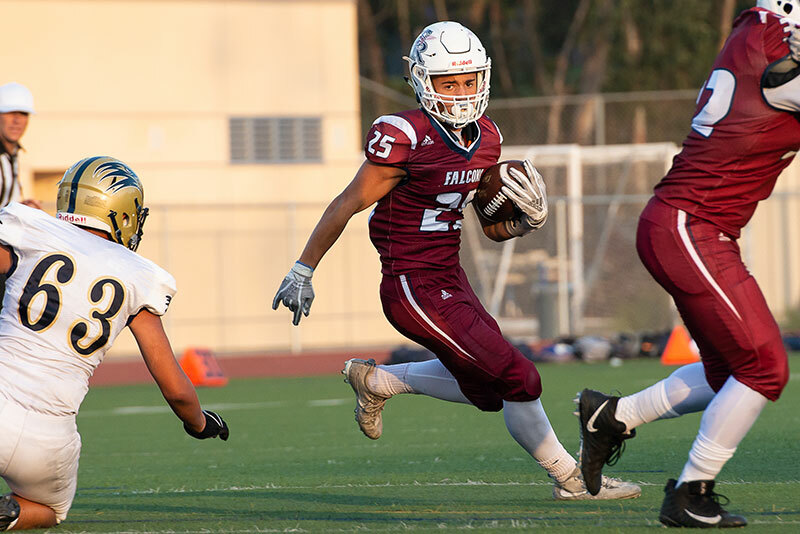 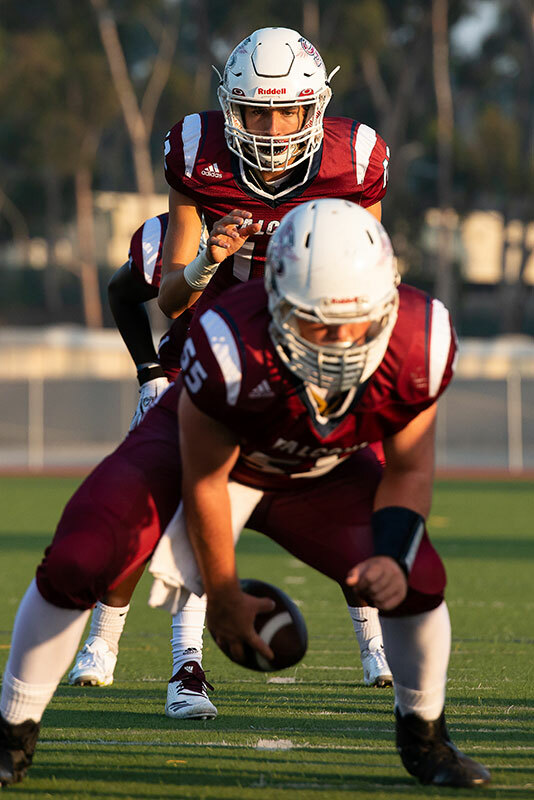 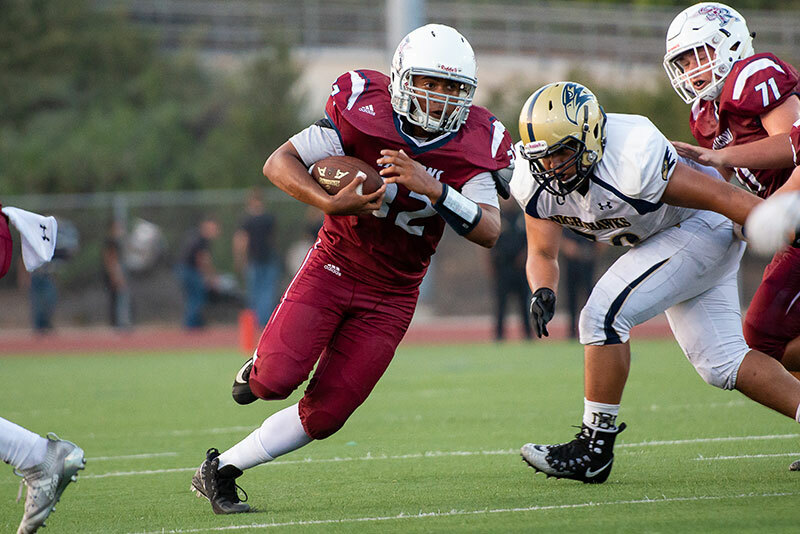 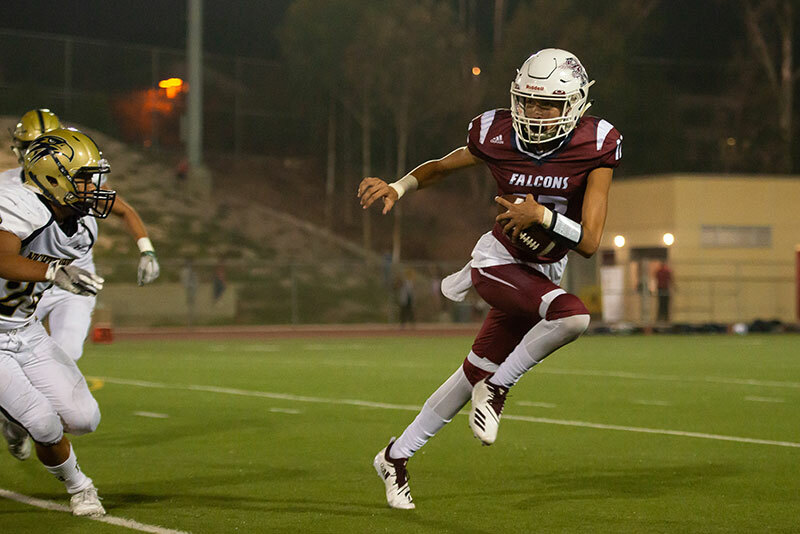 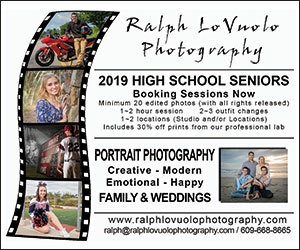 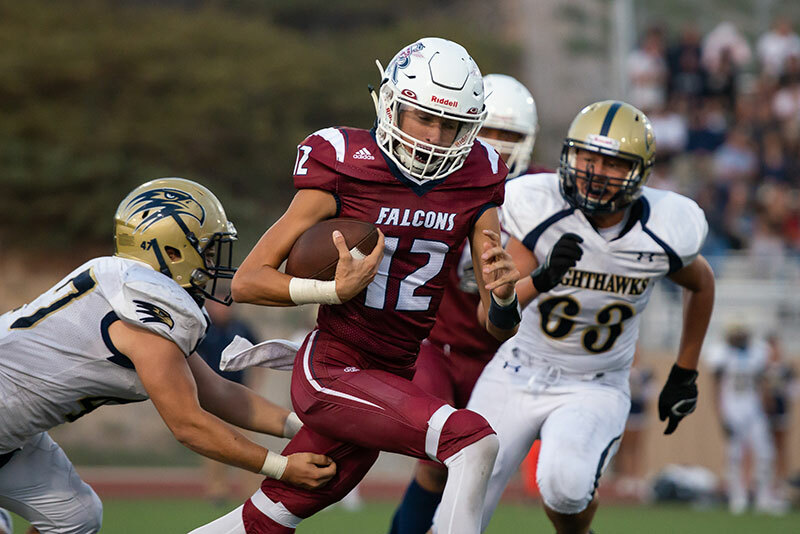 The Scripps Ranch High School varsity football team thrilled the local crowd as the Falcons captured an impressive 31-7 home victory over Del Norte High School on Friday, Aug. 24. 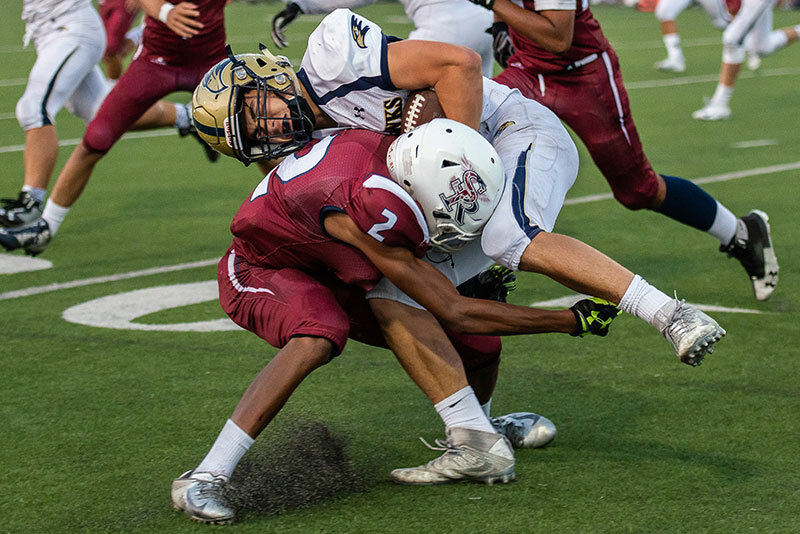 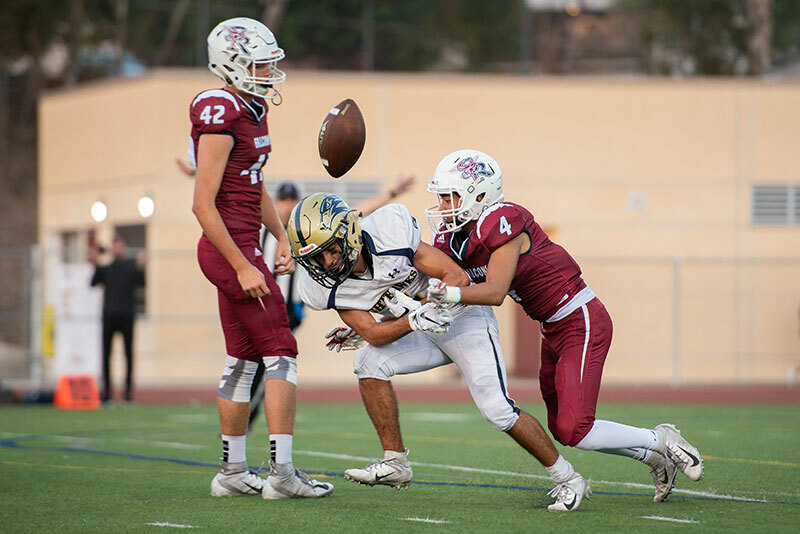 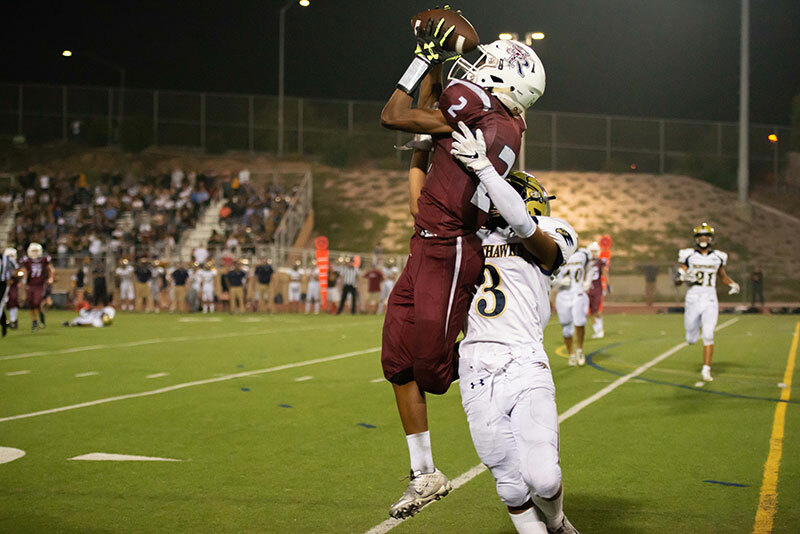 This was the first home game of the season for Scripps Ranch and the team did not disappoint its fans, gaining its second win of the young season, with no losses. 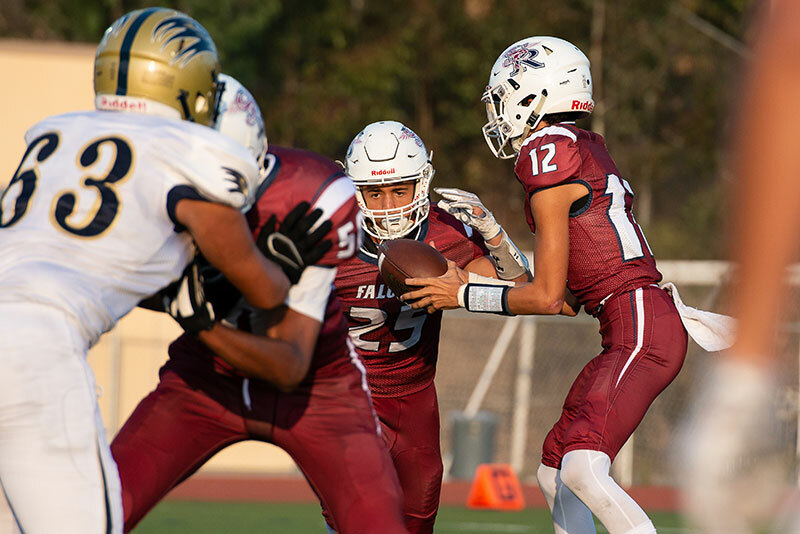 Scripps Ranch dominated throughout the game with the Falcons defense deserving credit for holding the opposing team to only 7 points. 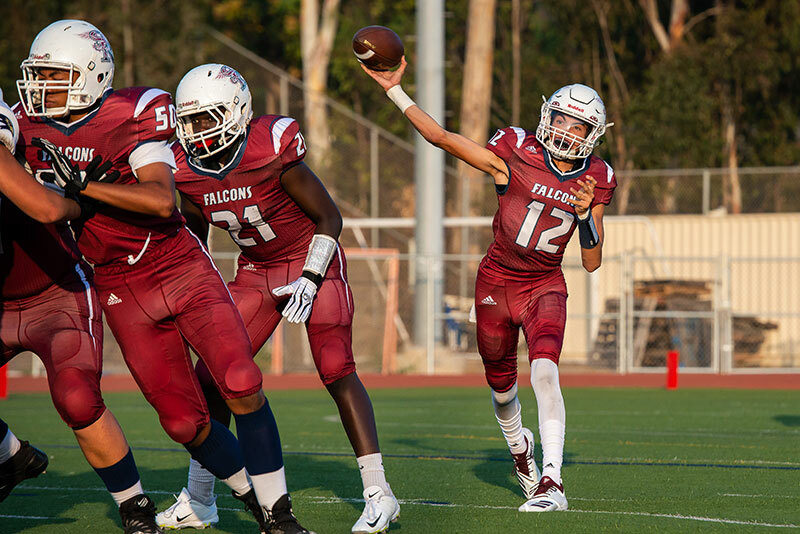 Falcons quarterback Dillon Gebase contributed to the offensive effort by completing 15 of 21 passes for 202 yards and three touchdowns. 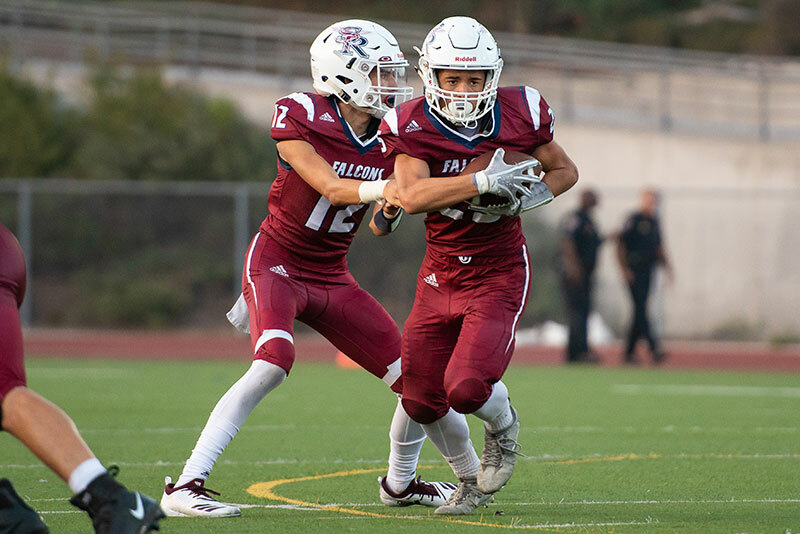 The Scripps Ranch Falcons will travel to play Fallbrook High School on Friday, Aug. 31 at 7 p.m.